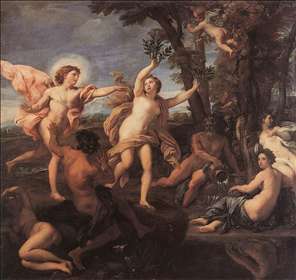 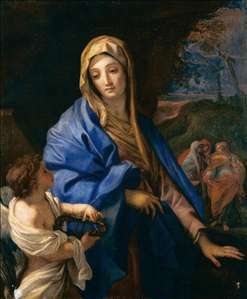 Carlo Maratti (Maratta) Italian painter, the leading painter in Rome in the latter part of the 17th century. 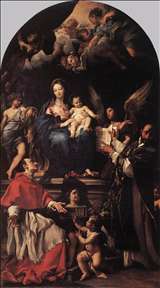 As the pupil of Andrea Sacchi he continued the tradition of the classical Grand Manner, based on Raphael, and he gained an international reputation particularly for his paintings of the Madonna and Child, which are reworkings of types established during the High Renaissance. 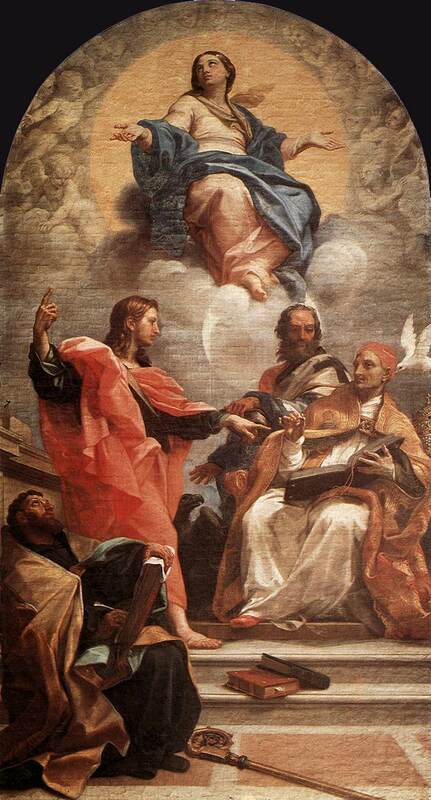 The rhetorical splendour of his work is thoroughly in the Baroque idiom, however, and the numerous altarpieces he painted for Roman churches (many still in situ) give whole-hearted expression to the dogmas of the Counter-Reformation. 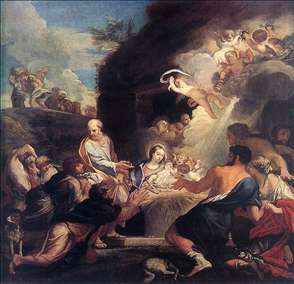 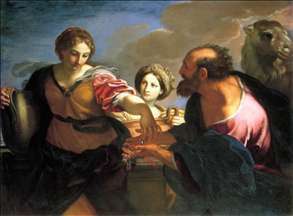 Maratta was also an accomplished fresco painter, and the finest portraitist of the day in Rome. 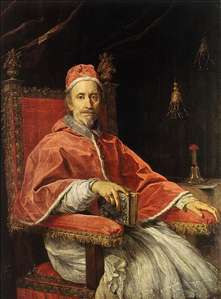 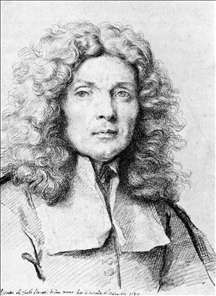 He had a large studio and his posthumous reputation suffered when the inferior works of his many pupils and imitators were confused with his own paintings. 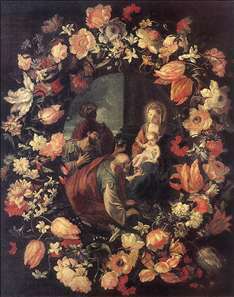 See more details about "Adoration of the Magi (in Garland)"
See more details about "Portrait of Pope Clement IX"
See more details about "Rebecca and Eliezer at the Well"
See more details about "Apollo Chasing Daphne"
See more details about "Assumption and the Doctors of the Church"
See more details about "Adoration of the Thorn Crown"